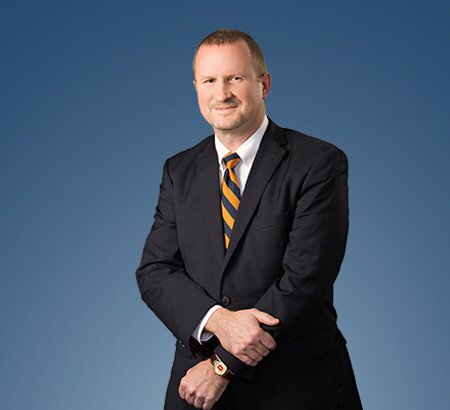 Casey Talbott is a member of Eastman & Smith Ltd., concentrating his practice in the defense of significant personal injury, wrongful death, and insurance coverage actions. He also has significant experience counseling railroad companies with respect to operations concerns throughout the State of Ohio. Mr. Talbott received his undergraduate and law degrees from The Ohio State University. He is a member of the Ohio Association of Civil Trial Attorneys, National Association of Railroad Trial Counsel, Defense Research Institute and the Ohio State and Toledo Bar Associations. Mr. Talbott is listed in Best Lawyers in America®. Mr. Talbott is a member of the "Varsity O" Alumni Association (wrestling) and a past-president of The Ohio State University Alumni Club of Lucas County.